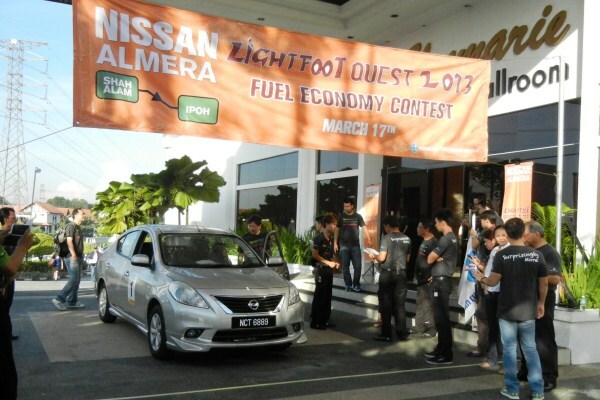 The last time Edaran Tan Chong Motor (ETCM) organized the Nissan Lightfoot Quest in 2010, it yielded barely believable fuel consumption figures as high as 165km/l. Participating journalists covering the event were stunned in disbelief, and there were some publications that refused to even carry the story. On our forums, question marks were raised over the contest’s credibility, and there were even accusations that some participants cheated with spare fuel tanks. Whilst such tactics are not entirely beyond the realms of possibility, they are also unlikely, and certainly for the prizes that were offered, too much of a hassle to be entirely worthwhile. What really happened, and this has been pointed out before, is that the brim-to-brim measuring methodology used to calculate the fuel consumption in that contest does not take the presence of air bubbles in the fuel tank into account. Before the fuel tanks were sealed, many participants were still trying their utmost best to pour every last drop of fuel they can squeeze into the fuel tank whilst slowly letting air bubbles escape. Your fuel tank traps as much as four litres of air in it when filled, and because the second refuel is done without allowing as much air to escape as before, you can see whether all these incredulous numbers came from. They were not numbers obtained from cheating, but simply flawed methodology. Also, if anyone thinks that Tan Chong had facilitated cheating on the participants behalf, think again. The objective of the contest was to obtain sufficiently realistic numbers that can be used for advertising, and the numbers that came out were utterly useless from a marketing perspective as they were not believable. 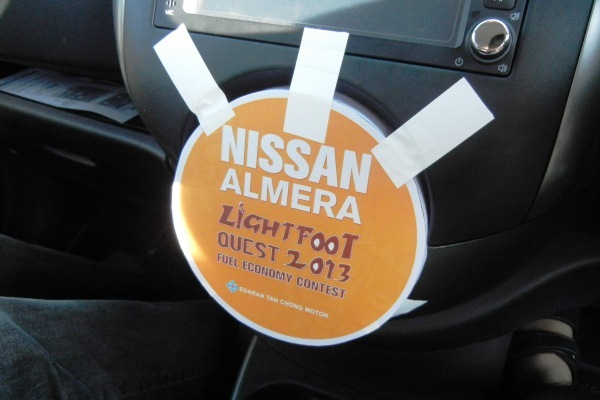 Still, the Lightfoot Quest is a well-received event amongst Nissan customers, and after a three-year hiatus, ETCM has decided it’s time for another round. Veterans from previous rounds have to wait longer for another go, however, as participation this time round is opened exclusively to customers of the Nissan Almera, many of them likely to be first time buyers of the Nissan brand in general. Two categories were opened for participation – manual and automatic – but the former category was struck off as there was no participation from owners of manual versions. Owners of manual Nissans should make a point to participate in future editions, you might have guaranteed winnings. A separate category was created for media participants who competed in test cars provided by ETCM. Being first-timers in the Lightfoot Quest, participants in this round were notably devoid of the extreme tricks that were previously employed in the 2010 edition. 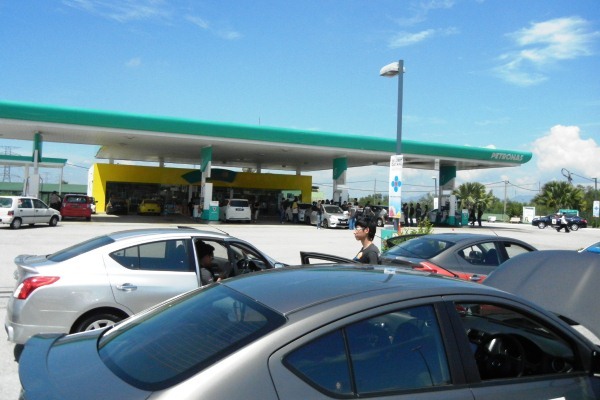 There were no tilting of cars whilst refueling and to further level the playing field, all cars must compete with air-conditioning switched on. Tamper-proof seals were placed over the air-con controls to prevent deactivation. With these measures in place, participating cars yielded results that are significantly more realistic and printable. The route selected for this year’s Lightfoot Quest was an all-highway 180km route from Shah Alam to Gopeng with fuel consumption calculated using the old-fashioned brim-to-brim method, which, truth be told, is not the most accurate, but most logistically convenient to implement. The winning car this time round clocked 27.18 km/l and it belongs to Mr Chen Khong Lung and Ms Lai Lih Mey. Coming in second place behind them were Rebecca Tan and Lee Beng Tan with a fuel consumption of 22.81 km/l. Marginally further back in third place were Izzudin and Faisal at 22.42 km/l. The three podium finishers pocked RM5,000, RM3,000 and RM2,000 respectively for their troubles. 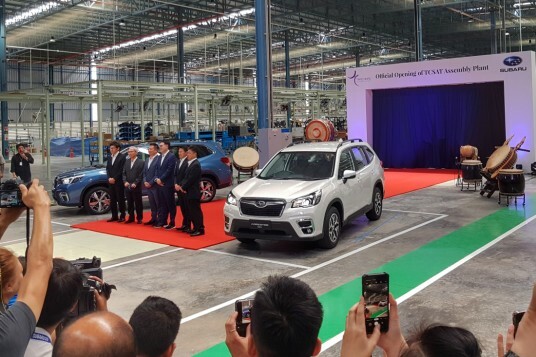 Results for the ten media cars were tabulated separately from customers, and the winning car in that category was driven by none other than our editor Mr YS Khong, partnering Ian Khong, to record an impressive figure of 33.60 km/l. The five-time Malaysian rally champion was pushed hard by the team of Durrani Sharom and Albakry Salehuddin of BH Auto and Malaysian EVO respectively, who clocked 32.64 km/l. YS further explains that many of the methods he used to win the Lightfoot Quest can be implemented in our daily driving to help lighten our fuel bills, although he advocates against overzealous application of these methods. Judgment remains essential, and he points out that, “You may need to gun the throttle to get out of trouble, especially during overtaking, so remember to balance safety with fuel saving. No point saving fuel if you aren’t going to be around to enjoy the savings.